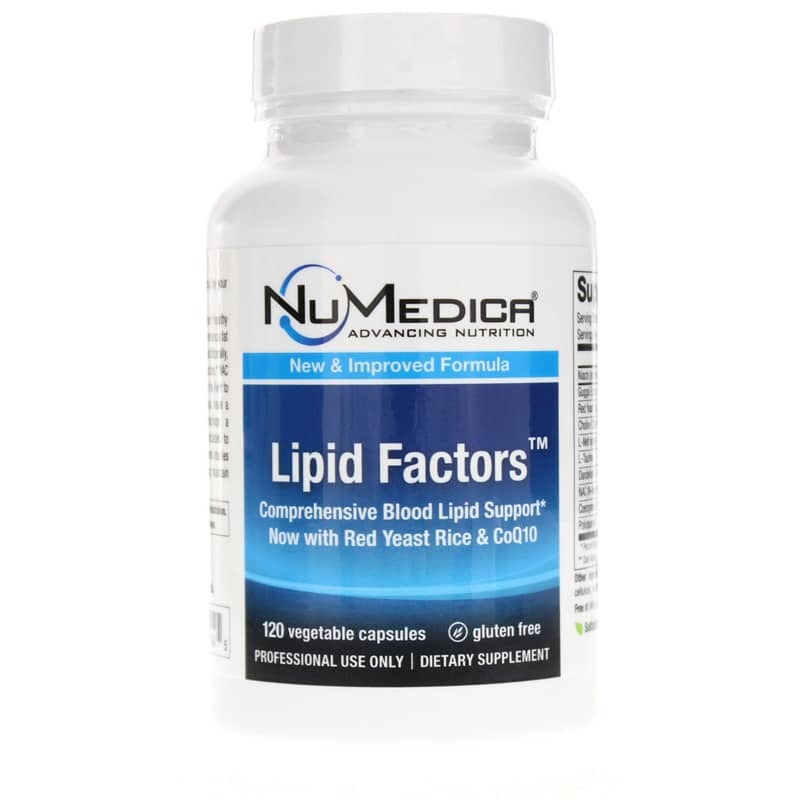 Lipid Factors from NuMedica is a dietary supplement designed to provide comprehensive blood lipid support. A new and improved formula, Lipid Factors now contains red yeast rice and CoQ10. A key indicator of your overall health is your blood lipid levels. To keep lipid levels within a healthy range, you need to live a healthy lifestyle that includes a healthy diet and exercise program. But extra support can come in the form of Lipid Factors. With a comprehensive blend of nutrients and natural ingredients, Lipid Factors may help to keep already healthy blood lipid levels within a normal range while also supporting healthy liver function. Nutrients including choline, methionine and taurine provide support for optimal fat metabolism, helping your body properly process fats. 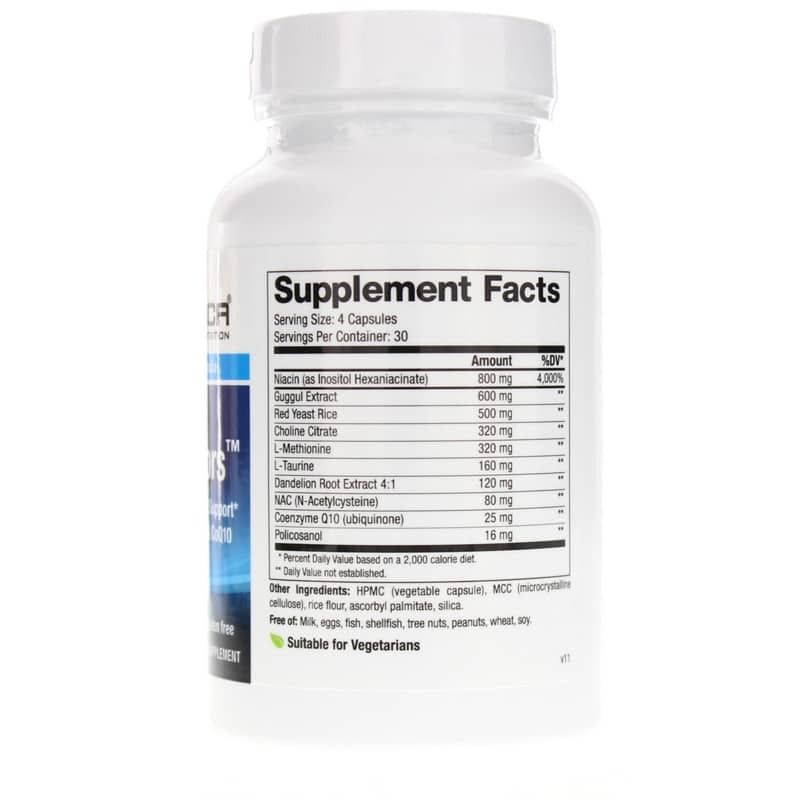 A sustained-release form of niacin, inositol hexaniacinate, provides additional support for healthy blood lipid levels, including triglycerides. To support a healthy liver, which is necessary for properly processing fats, Lipid Factors contains dandelion and NAC. 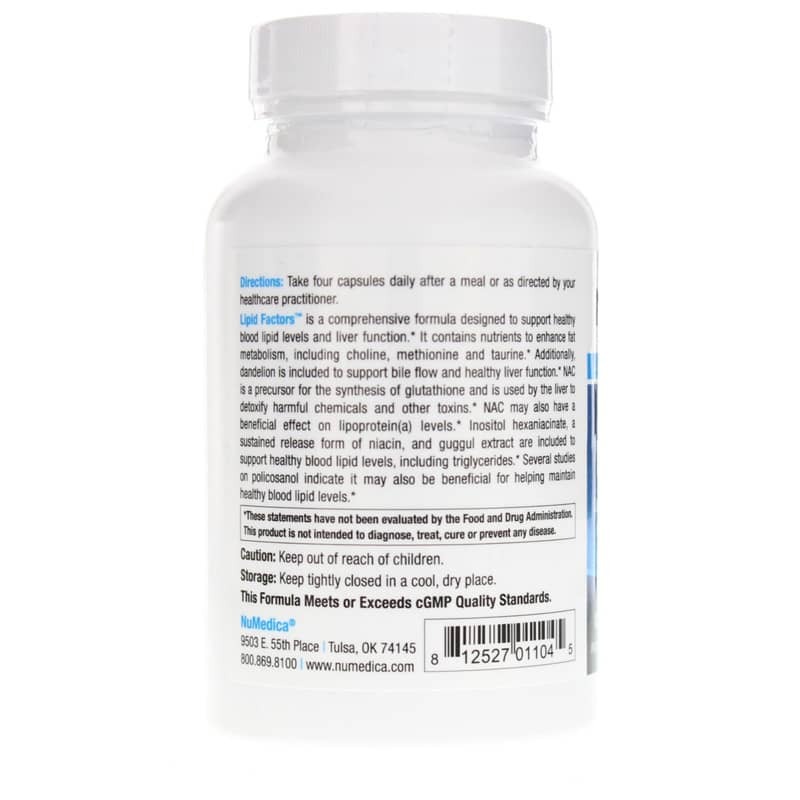 Dandelion supports bile flow while NAC acts as a precursor for the synthesis of glutathione, which is used by the liver to detoxify the body. Together, the ingredients in Lipid Factors provide your body with the support to continue to keep your levels normal and healthy. Order Lipid Factors today. Contains NO: gluten, milk, eggs, fish, shellfish, tree nuts, peanuts, wheat, soy. Suitable for Vegetarians. Adults: Take four capsules daily after a meal or as directed by your healthcare practitioner.